IGCAT international experts – Dr. Diane Dodd (Spain), Ilona Sares (Finland) and Davinia Galea (Malta) visited Galway between the 24 and 26 May 2016 to monitor the initial take-off and progress of the programme since its successful bid to host the European Region of Gastronomy in Galway, West of Ireland in 2018. 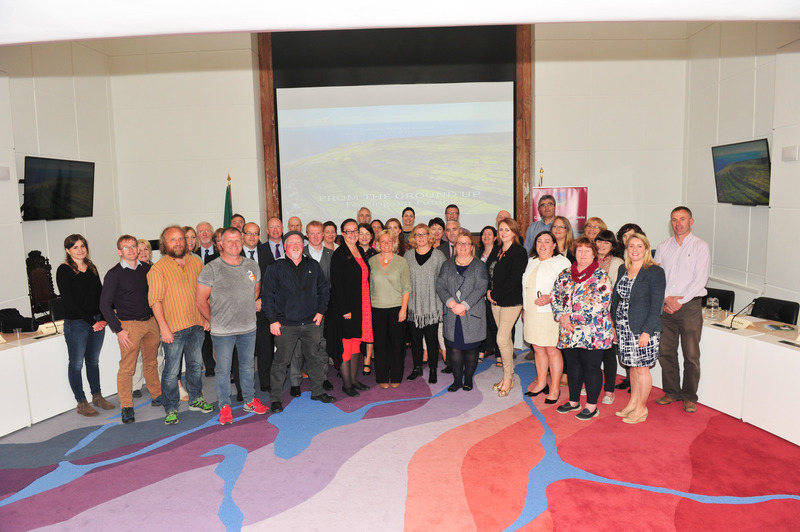 The jury visited many local food producers and met with the Steering Committee, the wider stakeholder group, Galway (GMIT) and the Galway 2020 team bidding to become the European Capital of Culture. The Jury was impressed with all the projects that they witnessed and discussed on the visit, particularly with the level of local and innovative food production, the strong relationships between the institutions and the producers, as well as between the producers themselves. The level of entrepreneurship of many within Galway to innovate and develop new food products using local produce is an area that Galway is managing exceptionally well. The full jury report will be presented and discussed at the next European Region of Gastronomy Platform meeting in Aarhus, 20 June 2016. Creating more exciting food experiences and increasingly positive everyday interaction with food. Galway 2018 invites food lovers to engage in this interesting region, to discover and contribute to a positive international image of Irish food. Food tourism is on the rise, having huge potential to move tourism away from the city centre and into rural areas where it could help support sustainable income for farmers, small hoteliers and local producers. IGCAT (International Institute of Gastronomy, Culture, Arts and Tourism) is an international network of experts from gastronomy, culture, art and tourism and other sectors who have an interest in the exciting areas to be developed when there is a convergence between these sectors. Together with its global network of experts, the IGCAT secretariat conducts research, develops projects and organises events related to this confluence and is particularly focused on how it may be used in regional and local development.